Do you know anyone that is color blind? Edna isn't color blind but all she sees is black, white and blue. That's it! Three colors all around her, nothing else. The snow is white, the night is black, and the sea is blue. Even she is black and white! Are there any other colors in the world? Edna sets out to find out! She's a smart little penguin and this story has such sweet pictures! 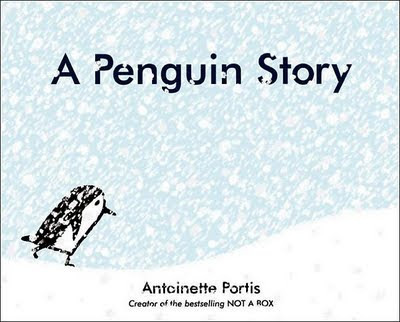 Follow Edna on her journey by coming to the library and checking out A Penguin Story by Antoinette Portis. Are you a creative person? Max isn't. His friend, Art, is though! Art can paint anything. He is really good. Max wants to try painting. When he asks Art what he should paint, Art says he can paint him. So Max picks up his paintbrush and starts painting ON his friend! Oh no! That's not what Art meant! 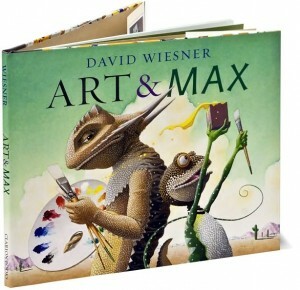 Find out what happens between these two funny friends in the book Art & Max by David Wiesner. David Wiesner is the author and illustrator of many books, including a few Caldecott medal winners - Tuesday and The Three Little Pigs. Kindergartners have been very interested in "those books with the gold stickers" lately. Today I had a Kindergarten class in the library to learn about those gold medals and I was reminded of a very famous book that is perfect for this time of year. 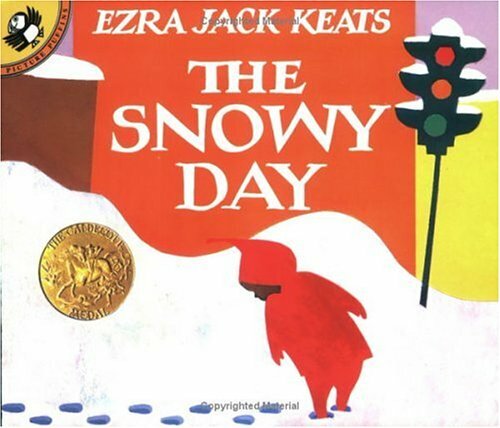 The Snowy Day by Ezra Jack Keats won the Caldecott Medal in 1963. That means this book is 47 years old! The Caldecott Medal is given out to one book every year that has the best or most meaningful illustrations. I especially like part of the end of this book where the main character is thinking about his day outside. If you didn't see the pictures, you would never know that he was doing his thinking in the bathtub!! !